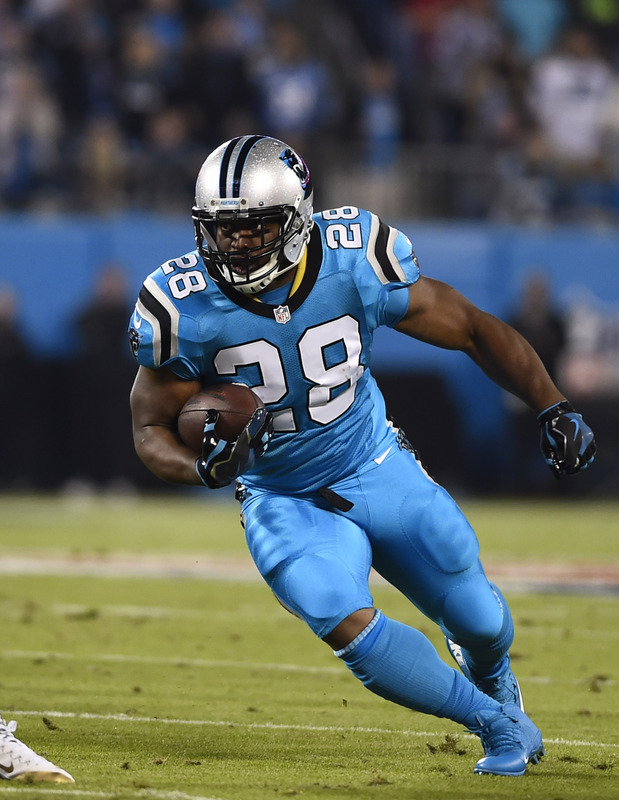 Jonathan Stewart is now set for free agency. The Giants will not pick up their option on the running back, according to a source who spoke with Ralph Vacchiano of SNY (on Twitter). Stewart inked a two-year, $6.9MM contract with the Giants last March. After Saquon Barkley was drafted, the plan was for Stewart to serve as a change-of-pace back and sideline mentor to the former Penn State star. Unfortunately, things didn’t go as planned. A foot injury landed Stewart on IR in September and the team decided against activating him from IR after he returned to practice in November. All told, Stewart played in three games last year and rushed six times for 17 yards. That’s a far cry from his best years in Carolina, including a 2015 Pro Bowl season in which he ran for 989 yards and averaged 4.1 yards per tote. Stewart will celebrate his 32nd birthday on March 21, putting him at a tricky age for running backs. Still, if Stewart plans to continue playing, he may draw interest in the second and third waves of free agency. The Giants did not activate running back Jonathan Stewart from injured reserve before the Thursday deadline. Per league rules, Stewart is stuck on IR and barred from playing again in 2018. A foot injury landed Stewart on IR in September, but the Giants activated a three-week use-it-or-lose-it window by bringing him back on the practice field in November. Because he was not activated, Stewart may well have played his final game in a Giants uniform. The Giants signed Stewart to a two-year deal in March with a base value of $6.9MM. However, the Giants can 86 the final year of his deal this offseason with just $250K in dead money. It would be the logical move for the Giants since rookie Saquon Barkley has solidified himself as a star and does not require an expensive veteran backup. With a number of holes to fill, the Giants will likely look to add a running back that is cheaper, younger, and perhaps better than the 31-year-old Stewart. Stewart, who turns 32 in March, had just six carries for 17 yards in his three games with the Giants. He earned his first Pro Bowl nomination with nearly 1,000 rushing yards in 2015, but he averaged just 3.6 yards per carry in his final two seasons with the Panthers. 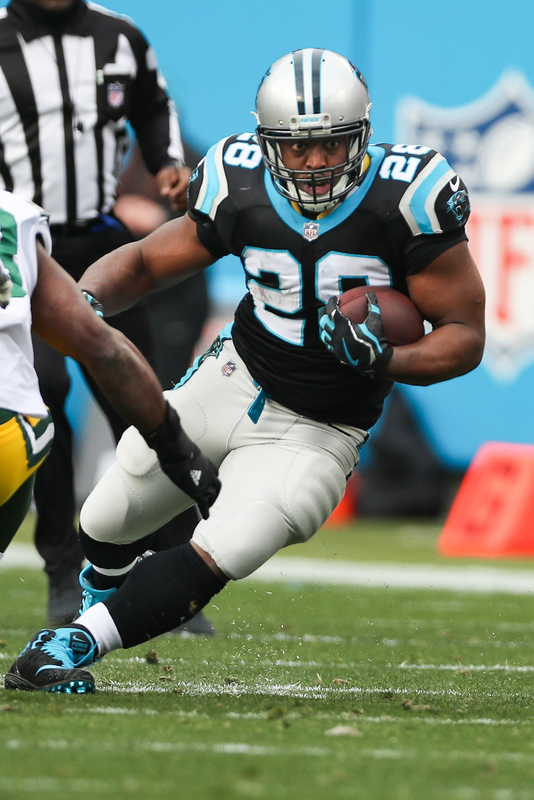 Jonathan Stewart‘s season might not be over. The Giants designated the running back to return to practice, Ian Rapoport of NFL.com tweets. A foot injury landed Stewart on injured reserve in September and the Giants have been cautiously optimistic about getting him back on the field. The Giants have a three-week use-it-or-lose-it window to activate the veteran starting today. If he is not placed on the 53-man roster by Dec. 6, he will be barred from playing for the Giants this year. Of course, the Giants aren’t playing for much at this juncture of the year. Even after their win against the 49ers, the G-Men are 2-7 and likely ticketed for another high draft pick. 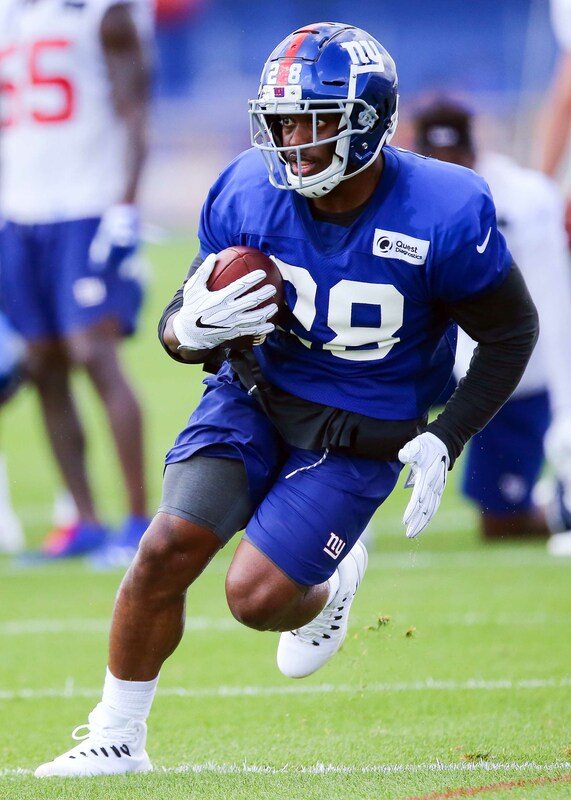 Rookie Saquon Barkley continues to impress and Stewart didn’t see a whole lot of work before his injury, so it will be interesting to see how he’s used when/if he comes back. In nine games, Barkley has averaged 4.5 yards per carry while adding 62 catches for 530 yards and seven touchdowns in total. In Stewart’s three games before the injury, he logged six carries for 17 yards. The Giants have Stewart under contract through next year, but they can save $2.625MM by releasing him with just $250K in dead money. This could be Stewart’s chance to cement his place on the Giants’ 2019 roster and avoid going through free agency as a 32-year-old running back. Jonathan Stewart‘s tenure with the Giants may not include any more games. The team will place the veteran running back on injured reserve, Jordan Raanan of ESPN.com tweets. To replace Stewart on the 53-man roster, the Giants will promote wide receiver Jawill Davis from their practice squad, The Athletic’s Dan Duggan tweets. A foot injury was set to keep Stewart out this weekend against the Saints, and it will shelve the 11th-year veteran for at least two months. However, Stewart doesn’t appear to be an IR-return candidate given his role through thus far. Stewart’s received just six carries in three Giants games, amassing just 17 rushing yards for his new team. He’s played behind Saquon Barkley and Wayne Gallman. Stewart, 31, is signed for another season with the Giants. He inked a two-year, $6.9MM deal in March, but most of the $2.95MM in guarantees were due this season. It would only cost Big Blue $250K to cut the longtime starter in 2019. Long the 1-B option alongside DeAngelo Williams with the Panthers, Stewart emerged as Carolina’s top running back for a few years after Williams departed. He started in Super Bowl 50, scoring the Panthers’ only touchdown of that game, and made his only Pro Bowl during that 2015 season. Stewart scored 23 touchdowns over the past three years, but the Panthers released him prior to free agency’s outset. Wide receiver Cody Latimer has had an up and down journey since entering the NFL. He came into the league as a second round pick of the Broncos in 2014, but never really established himself as a receiving threat. He was immediately labeled a bust by fans and media, and was never really able to recover. Latimer was able to stick in Denver by becoming an elite special teams player, excelling on kick coverage units. This past year, Latimer finally began to catch some passes. After never cracking 100 yards receiving his first three seasons, he racked up 287 last year along with two touchdowns. He averaged an impressive 15.1 yards per catch and parlayed that progress along with his special teams prowess into a one-year $2.5MM contract with the Giants. Now with New York, Latimer has already been making an impression. He’s reportedly done well during offseason workouts, and the Giants’ number three receiving job is now “his to lose” according to Matt Lombardo of NJ.com. Latimer appears to have turned his career around, and looks likely to have the biggest offensive role in his career this upcoming season. He’ll be an unrestricted free agent again this March, and if he shows well for the Giants, he should be able to cash in. Behind Latimer, the Giants’ receiving situation is less clear, writes Lombardo. He views Russell Shepard, Kalif Raymond, and Travis Rudolph as all being on the roster bubble, likely fighting for one spot. Whoever shows they can make the biggest impact on special teams may win the three way battle. Defensive lineman B.J. Hill will be starting as a rookie, according to Ryan Dunleavy of NJ.com. The third rounder from NC State has reportedly impressed this offseason, and Dunleavy is quite confident he’ll be starting on the outside of the Giants’ 3-4 defense. He calls Hill a “shrewd pick” and adds that while Josh Mauro will “enter the mix” when he returns from suspension, for now it’s Hill’s job. Dunleavy thinks the team wouldn’t have signed veteran running back Jonathan Stewart had they known Saquon Barkley would be available for them to draft at number two. The Giants apparently feared the Browns would take Barkley first overall, and signed Stewart as insurance. Now, instead of carrying the ball, Stewart’s “main role will be as a locker room leader and conduit” for GM Dave Gettleman, writes Dunleavy. In case you missed it, check out another round of Giants notes from yesterday. Jonathan Stewart has reunited with old friend Dave Gettleman. The Giants will sign the veteran running back, according to Adam Schefter of ESPN.com (on Twitter). Stewart’s pact is for two years and has a base value of $6.9MM, tweets Ian Rapoport of NFL.com, who adds Stewart gets $2.95MM in guarantees and can max out at $8.4MM. ESPN’s Jordan Raanan tweets the expectation is that the veteran running back will cost $3.425 MM vs. the salary cap in 2018. His contract includes incentives for rushing yards and touchdowns, and also includes a $500,000 option bonus for next year. The Giants have several needs to address this offseason, including running back. Last year’s top rusher, Orleans Darkwa, is ticketed for free agency and it’s not clear if he’ll be back in the fold. Even if Darkwa is retained, Stewart can serve as veteran depth. Regardless of how the backfield shakes out, it’s hard to envision that Stewart will be relied on as the team’s RB1. Stewart averaged a career-low 3.4 yards per carry last season but he did play in 15 games, his most since the 2011 campaign. He previously visited the Seahawks and Lions, but they’ll have to find running back help elsewhere. As of this writing, the Giants still have plenty of free agent running back options at their disposal. They could also spend their free agent dollars elsewhere and use the No. 2 overall pick on Penn State star Saquon Barkley, if he is available. Jonathan Stewart will make his third offseason visit since the Panthers released him, and a familiar face figures to be a big part of it. The veteran running back will head east for a Giants meeting, Tom Pelissero of NFL.com tweets. Dave Gettleman was not part of the regime that drafted Stewart in the 2008 first round, but he did serve as Carolina’s GM for four seasons. While Gettleman has made the offensive line a bigger priority, the Giants are in need of backfield help. They have not had a particularly strong stable of running backs since Ahmad Bradshaw‘s departure. However, Big Blue could be a candidate to draft Saquon Barkley at No. 2 overall. That would mean passing on a quarterback, so it can’t be assumed the Giants are a surefire Barkley destination. Stewart averaged a career-low 3.4 yards per carry last season but did play in 15 games — his most since the 2011 season. He visited the Seahawks and Lions already this month. Former Panthers running back Jonathan Stewart is scheduled to visit with the Lions on Monday, a source tells Adam Schefter of ESPN.com (on Twitter). Stewart’s visit is taking place before DeMarco Murray touches down in Detroit later on today. Stewart was released by the Panthers late last month after ten seasons with Carolina. Late last week, he took his first free agent visit with the Seahawks, but did not sign right away. Last year, Stewart didn’t put together much of a stat line as he played behind rookie Christian McCaffrey. It’s possible that a change of scenery, a different blocking scheme, or a different complement in the backfield could improve Stewart’s output. He is on the verge of his 31st birthday, but Stewart’s isn’t that far removed from his 2015 season in which he averaged 4.1 yards per carry and qualified for the Pro Bowl. The Lions had the worst rushing production in the NFL last year, so they are open to all options this offseason. Former Panthers running back Jonathan Stewart is visiting the Seahawks on Thursday, a source tells Mike Garafolo of NFL.com (on Twitter). Garafolo adds that Seattle is looking at “all options” to ignite the running game. The Panthers cut Stewart, one of their longest-tenured players, in late February. Stewart found his role downsized in Carolina, but he may get an opportunity for more carries elsewhere. After a backfield combo involving free agent pickup Eddie Lacy flopped in 2017, the Panthers are searching high and low for solutions. It’s not clear if Stewart has a whole lot left in the tank at this point in his career. In his younger days, Stewart impressed with 1,133 yards and ten touchdowns in the 2009 season. In 2011, he turned in a career-high average of 5.4 yards per carry. He also flirted with 1,000 yards as recently as 2015. However, he didn’t do much last season as had a career-low 3.4 yards per tote behind rookie Christian McCaffrey.